I, FROST LORD AHUNE HAVE COME TO SAVE YOU FROM RAGNAROS’ TERRIBLE MIDSUMMER FIRE FESTIVAL! I WILL REPLACE IT WITH A MUCH COOLER PARTY! FROST THINGS FROST, LET’S TALK ABOUT THIS FIRE FESTIVAL THING. FIRE IN SUMMER? THAT’S SNOOOOW CLEVER, RAGNAROS. QUESTION: DO YOU NEED MORE FIRE DURING A HEAT WAVE? ANSWER: NO, BECAUSE FIRE IS FOR LOSERS. FIRE IS ALSO A TERRIBLE PARTY DECORATION. YOUR HOUSE BURNS DOWN WHEN YOU DECORATE WITH FIRE. WHICH IS DUMB. LIKE RAGNAROS. THE FROST FESTIVAL IS THE COOLEST PARTY OF ALL TIME, AND I’VE GOT SOME GREAT STUFF SLEETED FOR YOU. DECORATIONS! EVERYONE KNOWS THAT TAVERN IS A CHILL PLACE TO HANG OUT, SO I WILL MAKE IT SPARKLE WITH FROST. WHEN YOU BREAK THE ICE YOUR OPPONENT SHOULD KNOW HOW COOL YOU ARE, SO YOUR EMOTES WILL NOW SPORT SOME SNOWFLAKES FROM ME. THIS IS AWESOME. 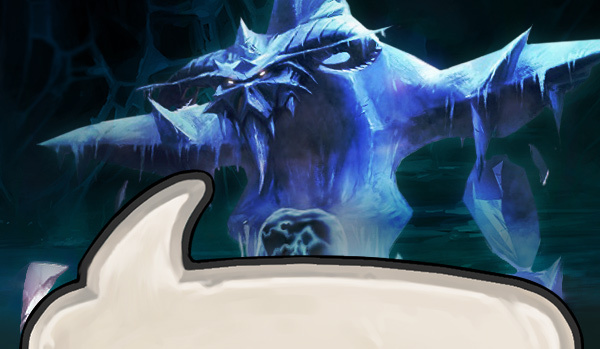 I HAVE PREPARED A FEW ARENA QUESTS FOR YOU TOO, WITH SOME VERY SPECIAL REWARDS: KNIGHTS OF THE FROZEN THRONE CARD PACKS*! ICE IS NICE (HA HA I RIMED**), SO I MADE SOME CHILLY CHANGES TO THE ARENA. THERE WILL BE A TAVERN BRAWL FEATURING ME, AHUNE. HAIL YES! IN CONCLUSION, YOU WILL HAVE A BLAST AT THE FROST FESTIVAL, MORTALS. DON’T FLAKE OUT--I LOOK FORWARD TO YOUR ARRIVAL WITH GREAT PRECIPITATION. *THERE’S A FREEZE ON OPENING THESE PACKS UNTIL KNIGHTS ARRIVES! **ICY WHAT I DID THERE. I SLEIGH ME.